A non government organization (NGO) is a type of non-profit organization that works to promote human good while operating separately from any national government. 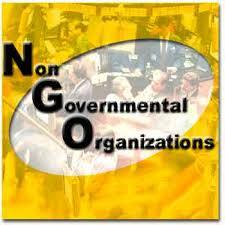 A non government organization (NGO) is any non profit, voluntary citizens’ group which is organized on a local, national or international level. Task-oriented and driven by people with a common interest, NGOs perform a variety of service and humanitarian functions, bring citizen concerns to Governments, advocate and monitor policies and encourage political participation through provision of information.